Thanks to the open cell-structure of latex, with millions of interconnected cells, a latex mattress doesn't sleep hot. The natural elasticity of latex help the sleeper to change totally unhindered his / her sleeping position. The sleep pattern is completely un-interrupted with guarantees a revitalizing sleep. The organic properties of latex offer anti dust-mite and anti bacterial protection. Our CORES are complimented with a rich tencel based cover to ensure a restful sleep allowing the body to recover from your active lifestyle. 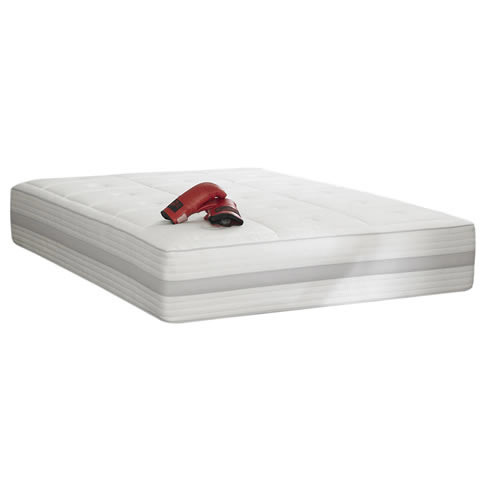 Fab mattress, I wish I bought this much earlier, could have saved me from a lot of struggle. Great, would buy again. Never had a better night's sleep, love this mattress. Super smashing great service.